AMC drama The Walking Dead can safely be declared a quite popular show for the network, and with fellow AMC show Breaking Bad not producing new episodes this year, 2014, or season 5 represents a clear stretch for the apocalyptic drama to try and assert a position in that status for cable TV as well as in-house. Ahead of a premiere of the 16-episode run as of Sunday 12 October at 9pm ET, the show have launched its first two official previews, hinting at the drama that will occur in the latest installments of zombie survival. 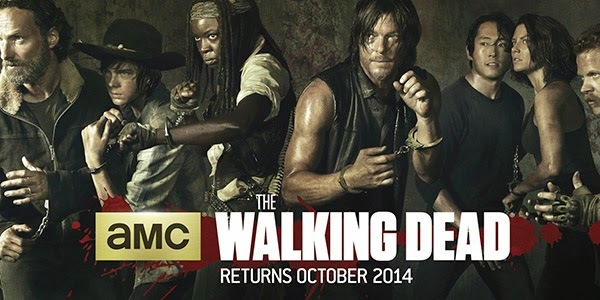 Ready to take their total episode tally up to 67, the cable network will certainly be looking forward to their new season premiere day of The Walking Dead as much as their potentially many viewers, but will it be able to live up to the hype as AMC’s new undisputed #1?